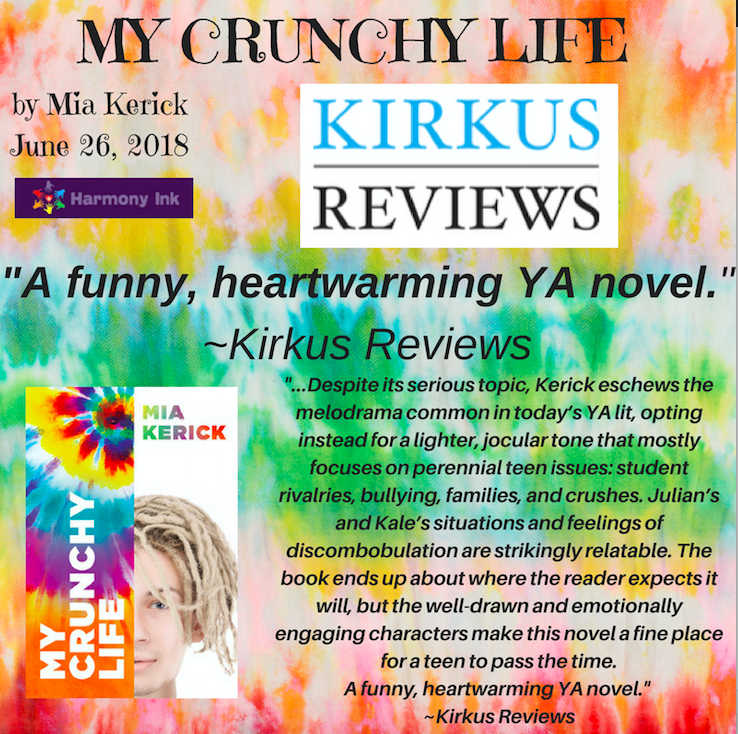 MY CRUNCHY LIFE by Mia Kerick GOT AN AWESOME KIRKUS REVIEW!! 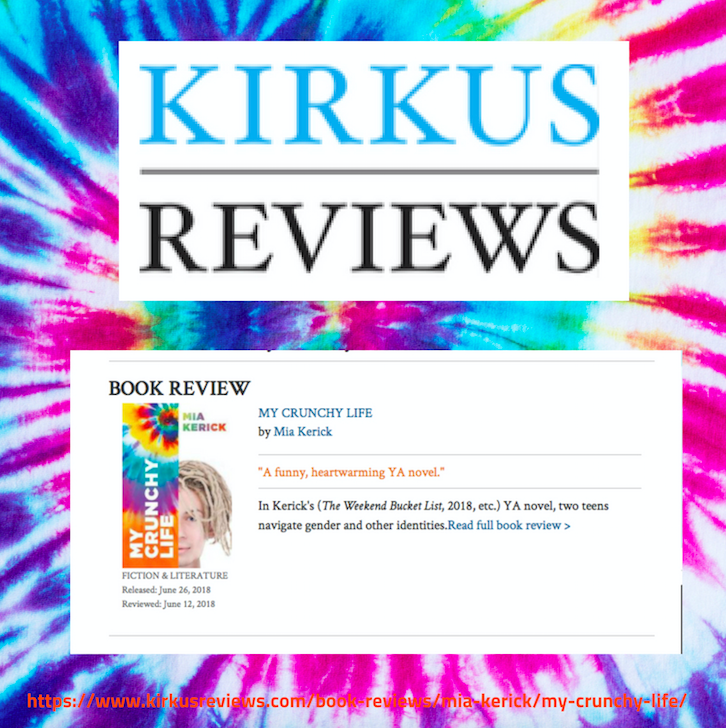 Purchasing a Kirkus Review is a big decision, as it is VERY COSTLY and EXTREMELY HONEST. 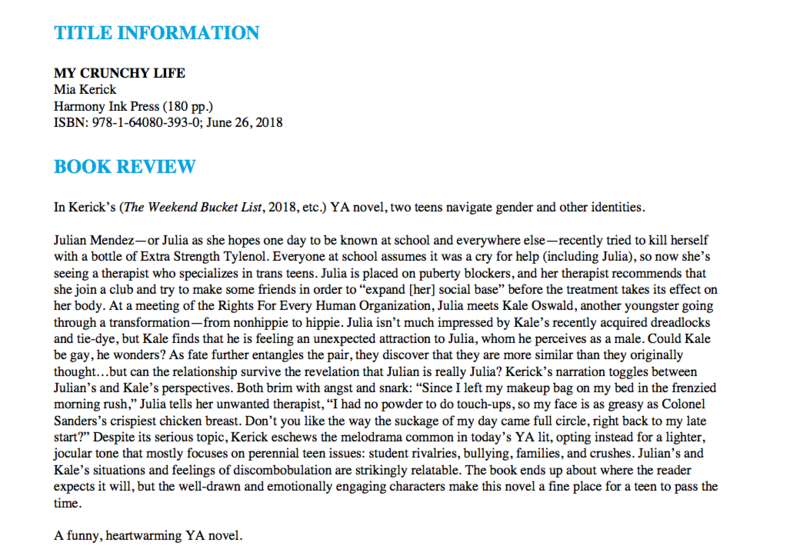 (I’ve come out on both ends of the Kirkus Review and the less-than-stellar review stings as much as the wonderful review elates.) I decided My Crunchy Life was special and worth the expense. I’m so glad I did. 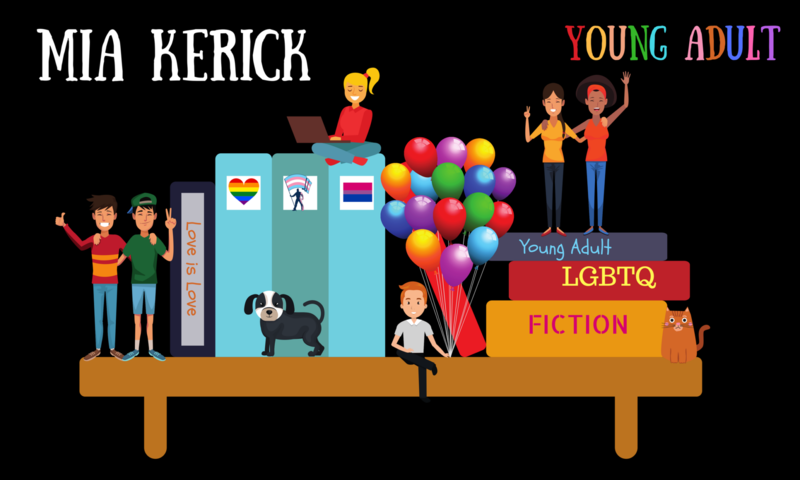 When Kale and Julian come face-to-face at the human rights organization, attraction, teenage awkwardness, and reluctant empathy collide. They are forced to examine who they are and who they want to become. But until Kale can come to terms with his confusion about his own sexuality and Julian can be honest with Kale, they cannot move forward in friendship, or anything more. I’ve celebrated by making some (bragging -#sorrynotsorry) promo images. 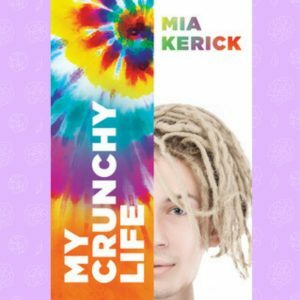 I hope you check out My Crunchy Life. Previous PostPrevious LitPick made a video of a student reviewer’s 5-Star Review! !